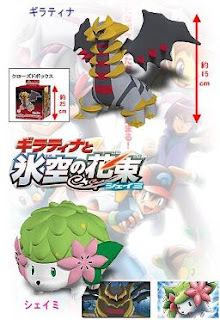 Giratina and Shaymin figure (Banpresto) : GA graphic reports these figures from 12th Game Prize Fair. Detailed photos are there. Pokemon Kids DX3 : Bandai will release it in the end of August. Will post detailed later. 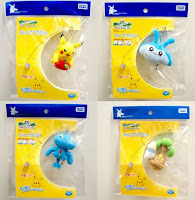 If want to check previous items, please refer to Pokemon Kids DX DP series. Pokemon Clipping Figures Part 4 : Bandai will release it in the end of August. Will post detailed later. If want to check previous items, please refer to part 1, part 2 and part 3. Swing Mascot : Heartland will release Piplup, Burmy (grass, sand, trash), Combee and Drifloon (oh very rare lineup) on 25 July. Will post detailed later. The following photo is previous AG series. Yujin 3D Pokedex Series (Zukan) DP08 : it was postponed to the beginning of July. New Pokemon plushies (Pokedoll), Shaymin and Giratina (origin forme) will be released from Pokemon Center on 1 June. Size is approx. 6" height. As for Giratina (another forme) pokedoll, it has been already released on 19 April. Updated summary list of released figure, refer to Pokemon DP figure release summary and 2008 Release Summary. MediaFactory will release the following paper craft set on 18 July. Paper has been painted. 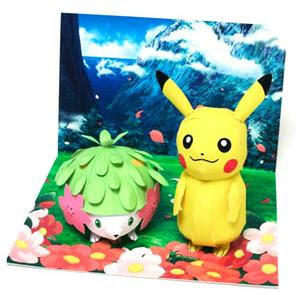 Size is Pikachu:14cm, Shaymin:7cm, Piplup :14cm. As for other paper craft info, please refer to previous post. [ Edit 30 June ] Shaymin sky photo is replaced. 12th Game Prize Fair was held at TOC Ariake in Tokyo on 28 May. Banpresto exhibited new plushies, Shaymin's cushion and etc. New merchandise will come to the market around 3Q-4Q 2008. 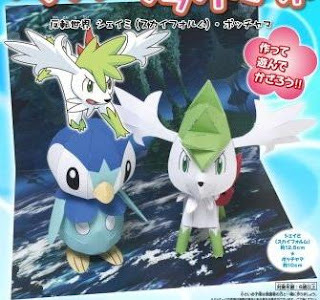 Shaymin plush (mouth opened one) seems DX type updating. Tomy will release talking Shaymin plush on 24 July. When taking the plush up in your arms, plush will talk eight kinds of words randomly. Battery: AAA x 2pcs required. Will update size later. 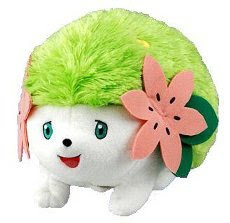 As for other Shaymin plush, please refer to the following posts. Shaymin Pouch Design Contest Probably PokemonCenter will release Shaymin plush in this article photo, not sure release date at present It will be released on 1 June. 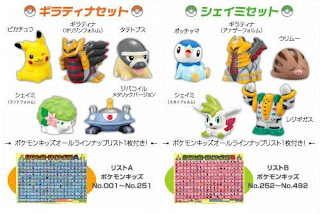 For movie 11 'Giratina and the Icy Sky's Bouquet: Shaymin' promotion, McDonald's JP will start to sell Happy meal set with the following toys and posters during 20 June to 10 July. 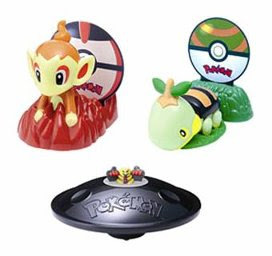 In disk model toys, the visible Pokemon will be reflected on the disk using 3D image technology. [ Edit 13 July ] Added the following photo, poster and celluloid sheet (laid under writing paper). Nagoya Railroad Co.,Ltd. (Meitesu) adds new Pokemon Wrapping Train with Giratina and Shaymin, service during 26 April to 31 August. Meitesu has the following three Pokemon Wrapping Trains. Where is "Icy" BTW ? Understand everyone expect 'next photo' of Shaymin. Calm down, coming weekend, the fun has only started. BTW, where is "icy" in the English title of Movie 11 ? 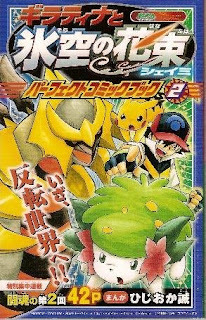 Currently people use 'Giratina and the Sky's Bouquet: Shaymin', AAPF as well carelessly. Please remember icy is included in the Japanese title. There is a trick in Japanese pronunciation. 氷空 means Icy Sky. Actually we don't have 氷空 in Japaneses noun. It is coined word by Pokemon movie production. Then they provided only Sora (Sky) as definite pronunciation using the word‐forming ability of Kanji characters, icy was omitted. 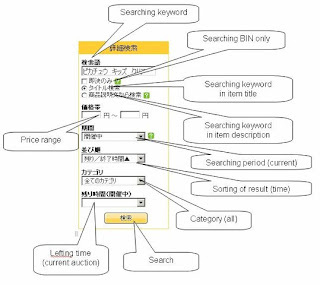 To check the hot keywords by google blogsearch service, it is one of routine for AAPF. When search "sky form" in Japanese sites, one blog page was hit recently. 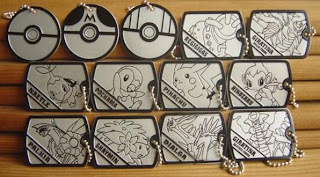 Blog owner is Pokemon fan and working for the printing industry, based on previous articles. Ensky will release Pokemon Towel and Gum (candy toys) in July. 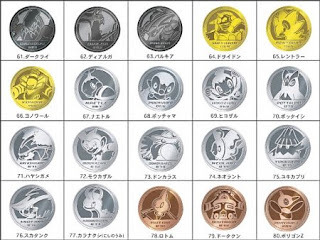 Here is a photo, the new Pokemon is there with white cover. As for other white cover, please refer to Puzzle Gum 5. 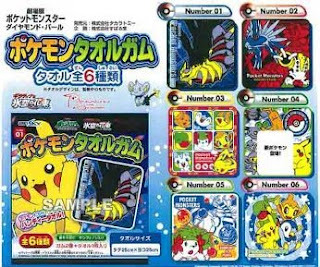 Second photo is Pokemon Sticker Ramune Neo4 (candy toys), will come in July. What do you think next of Shaymin in right bottom ? Is it Giratina (origin form maybe, but can't see...) or ?? Nothing description at present. Will update later. 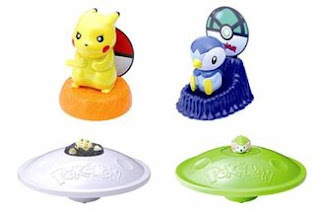 Banpresto will release Pokemon Figure Key Holder in the middle of September. Figure size is appox. 1.18". Updated summary list of released figure, refer to Pokemon DP figure release summary and 2008 Release Summary. Here is list of upcoming major event/milestone date for movie 11 'Giratina and the Sky's Bouquet: Shaymin' and new game Platinum. Will update this post when new info coming. As for Pokemon toys merchandise (figure and plush mainly), please refer to 2008 release summary. 15 : Corocoro August's magazine ? Just short notice. Pokemon Japan starts to introduce upcoming Pokemon Game Platinum officially. Next update will come in the middle of June. Summary of June's comic "Giratina and the Sky's Bouquet: Shaymin"
The comic "Giratina and the Sky's Bouquet: Shaymin", performed by Makoto HIJIOKA, it is serial comic on Corocoro magazine. Would try to summarize June's contents (vol.2 48pages). Looks there are some hints for movie 11th. Ash group got the info that a man saw Shaymin's Flower Carrying (花はこび) at Village Teni (テンイ村) before. Village Teni and neighborhood have a custom, to gift Glacidia flower to someone who have been good to them. Next July Vol.3 is last. Bandai Pokemon Kids series movie 2008, will release the following 2 sets on 15 22 29 July. Will replace the final photo later. Updated summary list of released figure, refer to Pokemon DP figure release summary. As for DP8, please refer to PokeKids DP8. [ Edit 07 June ] Uploaded the photo. Current photo of Shaymin set is not included Shaymin ! Of cause veiling one is Shaymin Sky forme. Release data is after one week later DP8 release. [ Edit 24 June ] Replaced the photo. Shaymin set includes sky forme. New Pokemon Game Platinum Coming ! Just short notice. According to Corocoro's June scanning, upcoming new game name is Platinum. It will be released in autumn (September ?). Will update detailed later. Anyway thanks to 'Shooting Star Rockman' thread in 2ch for scanning ! Please refer to previous post TomyMC Number for detailed. As for FAQ about figure series Tomy Monster Collection (MC) number, would post here. Tomy's current sales policy is to manage only 150 figures. When producing a new figure, one of 150 numbers of the existing figure is assigned to new one. The existing figure is replaced, then it will be end of production. Replaced figure is available in the current stock only. In other words, the figure that excluding current 150 figures, previous released RB/GS/RS (black, yellow, square box package) , Tomy does not reproduce them at present. It is necessary to wait till coming renewal or battle scene series. Or restarting reproduction. Today, going to be hard to find RB/GS/RS figures in the market day by day. The replaced figure in DP series will be same as well. Please refer to Tomy MC number list. One of eBay customers from Netherlands asked me "Why Rotom items is nothing ?!" Exactly almost nothing, the figure was released in Bandai SG 11 only. But never mind ! 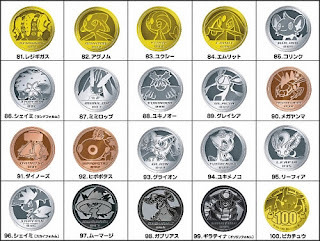 Here is one more Rotom item, it's Pokemon Medal Collection DP4 from Bandai, was released on 10 March 2008. 27 Jun 2008: Rotom in PokemonKids DP8 will out on 15 July. Enlarge photo. 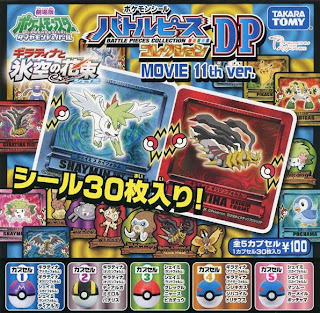 Pokemon Metal Name Tag & Pokemon Projector Light Movie 11th Ver include Pokemon A & B from Yujin, the release dates are postponed to 3 June from the middle of May. 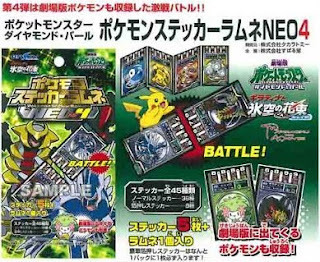 [ Edit 8 May ] Pokemon Projector Light contains Pikachu, Dialga, Regigigas, Giratina (origin, another form) and Shaymin. [ Edit 6 June ] Final photo of Pokemon Projector Light is uploaded. [ Edit 11 June ] Final photo of Pokemon Metal Name Tag is uploaded. Recently I often encounter the auction agency (middle man) for buying at several categories in YJ auction. 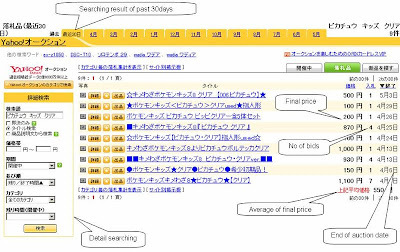 For the auction users especially Japanese auction, do you use AucFan.com ? Have a happy hunting ! Banpresto will release Giratina and Shaymin soft vinyl figure in the end of August. Game prize, size is appox. 15 cm, assemble model. Updated DP release summary and 2008 releaseas summary as usual. 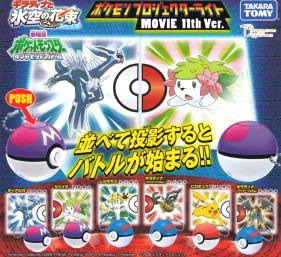 Yujin will release Pokemon Sticker Movie 11th version in the beginning of August, gashapon (capsule toy), 5 kind of capsules, 5 kind sticker inside. As for other items, Yujin item info2, Bandai item info1. Photos for the following post are uploaded. Pokemon FanClub Japan and Girl's manga magazine Ciao start the contest for Shaymin pouch design. 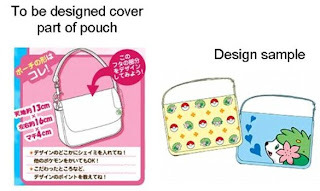 Selected design pouch will be manufactured and sell it at Pokemon Fan Club web site. Contest closes on the 2 June 2008. Which Pokemon is your most favorite ? 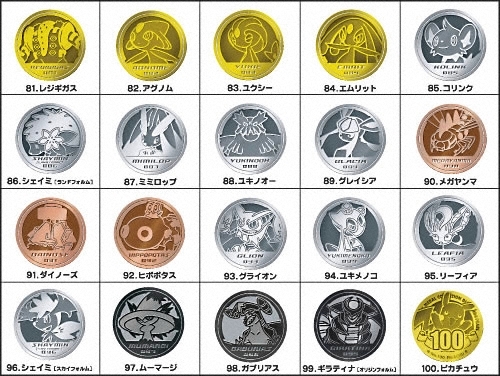 Which Pokemon's goods/merchandise do you want ? Are you member of Pokemon Fan Club ? If you have an idea, please apply it. The door is open ! AAPF can assist you (posting, naming etc), feel free contact us. Sky Form & Land Form for New Pokemon ? As for "form" related new Pokemon, the followings are status in trademark database IPDL. Another and Origin forms have been applied from Nintendo, GameFreak and Creatures. Sky and Land forms have been applied from a private person who looks concerned Pokemon business in Japan. Will unveil later step by step. BTW, we confirmed some sites and forums used or based AAPF's post without quote/link recently. Please link to AAPF. Otherwise AAPF is going to change member-ship blog. [ Added 9 June ] If want to check AAPF's article about Shaymin forme, please refer to Shaymin Forme Info. 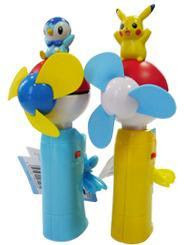 Marusho has released Pikachu and Piplup Piplup Propeller Fan on 27 April. The fan is soft material for safety purpose. Size is approx. 5.8" height, work on two AA batteries. Just short notice. 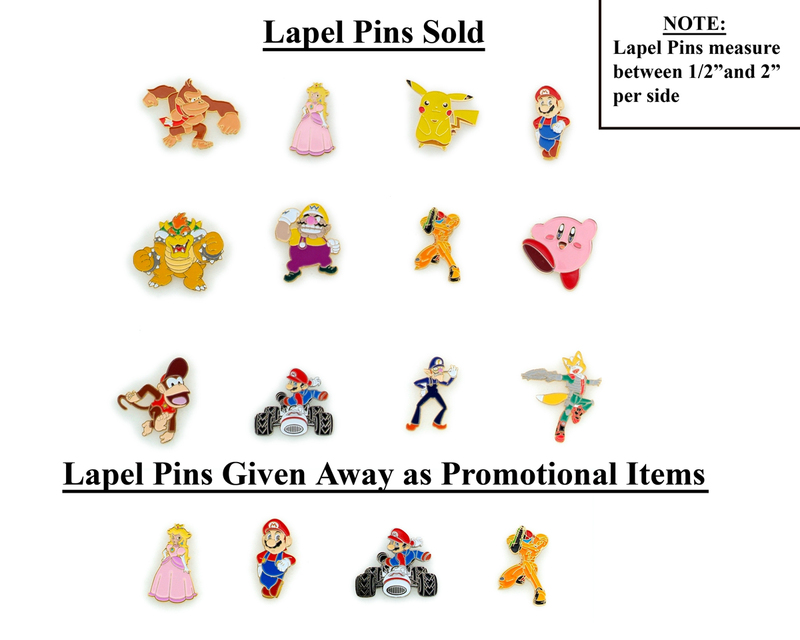 Nintendo US has announced lapel pin recall information due to lead paint, includes Pikachu. How do you display your favorite figure ?? Today's post is about the figure dispaly table. Would recommend the following items for your collection. Table is turning by solar. Working under the room fluorescent as well. Basically it is for Choro-Q car, but we can use it for any goods. 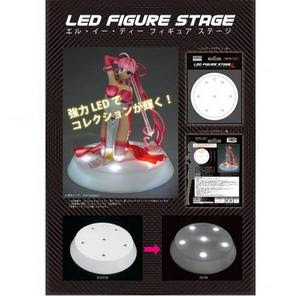 Table size (diameter) : 3"
Figure can be lit up by white LEDs.